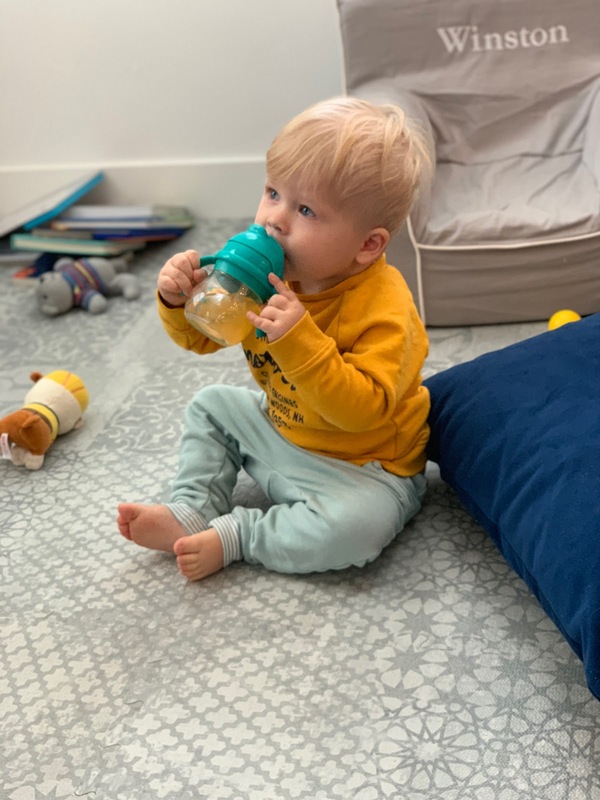 1 // The DockATot is hands down our MOST USED BABY ITEM. If you've followed a long with me the past year and a half, you've heard me talk on several occasions about this must-have for new moms. If you're not familiar with the brand, this baby lounger pillow was created to give little ones comfort and security. Winston has slept in a DockATot Deluxe the day we brought him home. We were actually waking him up to feed him, he was sleeping so well. And we know, it's because of the DockATot we have such a great sleeper, still. 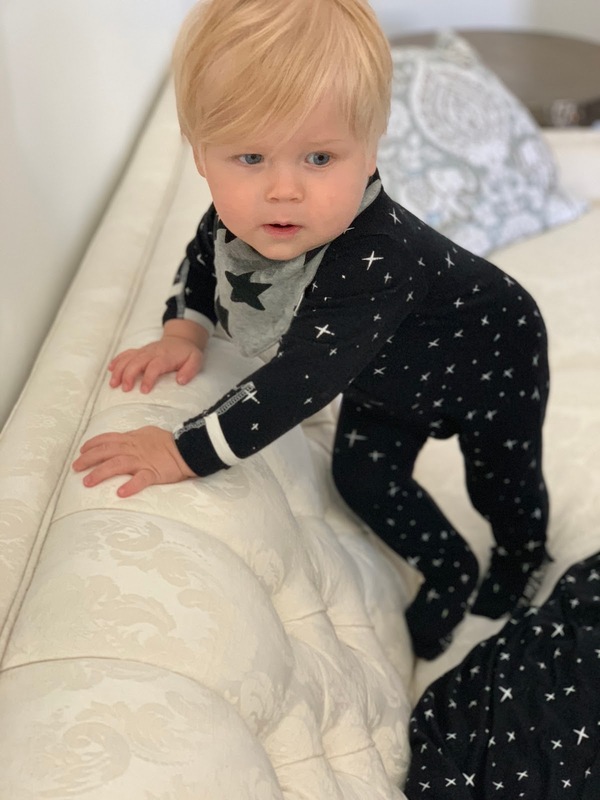 More on my previous post about DockATot here. DM me if you have questions. The one thing I'll say to you, is it's worth every penny. Typically you'd use a Deluxe for newborns until 8 months and then move to a DockATot Grand from 9-36 months. I moved Winston over to the Grand right at 8 months. He sleeps in it and we also use it for playing with toys and reading time. This would be an amazing gift for a parent and their sweet baby. 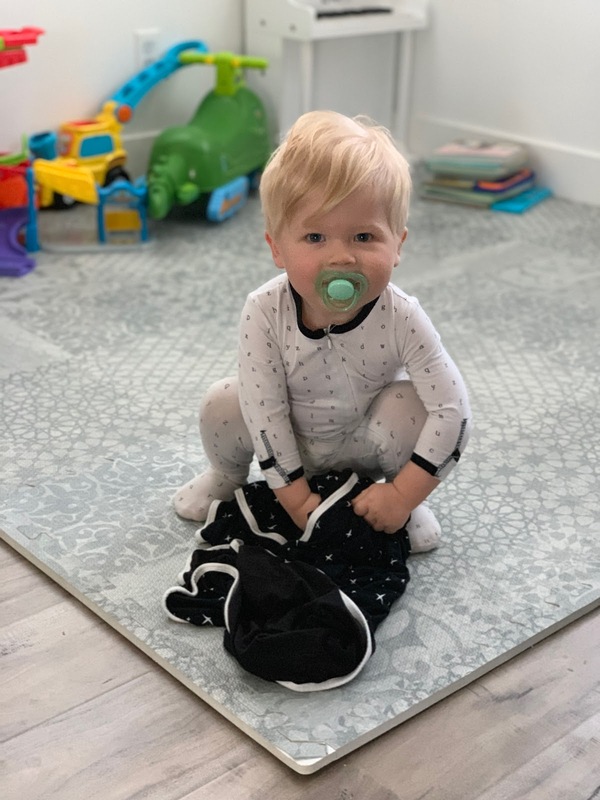 Save $10 on a DockATot when you purchase using THIS link. 2 // When Winston was about 5 months old, I walked into a baby boutique and discovered Peregrine Kidswear sleepers. I hadn't heard of the brand, but was in awe of the crazy soft material and in love with the patterns. I tried one and went back for more after I saw how soft they were on his skin and how well they washed. One of these soft sleepers would make a great holiday or baby shower gift. Winston is wearing the buffalo check pattern from the newly launched line, below. Oh, and Peregrine also offers blankets that are equally as soft as their sleepers. Winston carries his around everywhere. Use code "INTERSTATESTYLE" to save 20% of your entire purchase this week. 3 // I spotted this is Dragon stuffed animal at Nordi's last month. It's just so cute and crazy soft. This has been ordered and wrapped! 4 // & 5 // Birdrock Baby Moccasins have become a family favorite. They are absolutely adorable and are easy for Winston to walk in. Made from genuine leather, they are both great quality and easy to wipe clean. Birdrock Baby also has Fringeless Moccasins (seen in the soccer pics below), which Winston wears almost every day. They are the same quality and cuteness, just without the fringe. Another favorite are the fleece and lightweight cotton booties from Birdrock Baby. Both are perfect for hanging around the house when I don't have him in a onesie that covers his feet. We have hardwood floors, so these keep his feet nice and cozy. 7 // This a great multi-use bottle. I wanted something that worked for water and thicker drinks like smoothies, and this one is perfect. 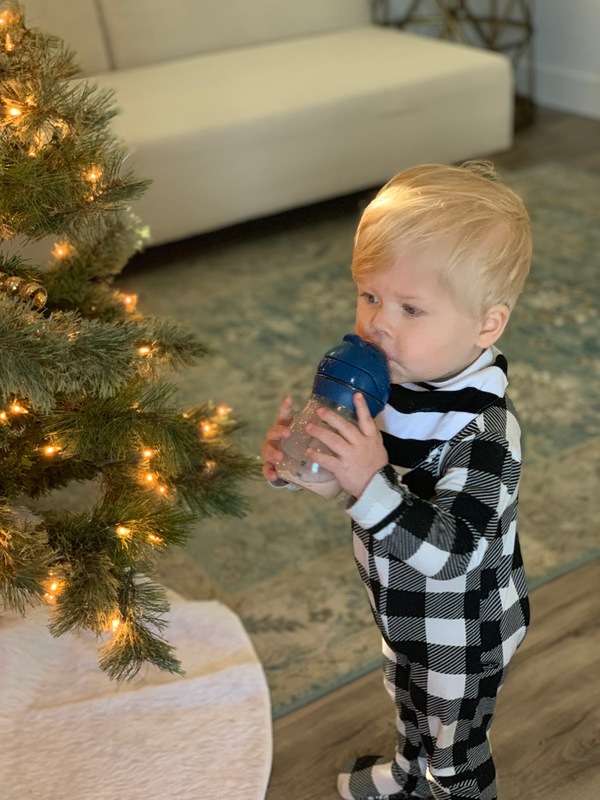 Bite free, spill free. 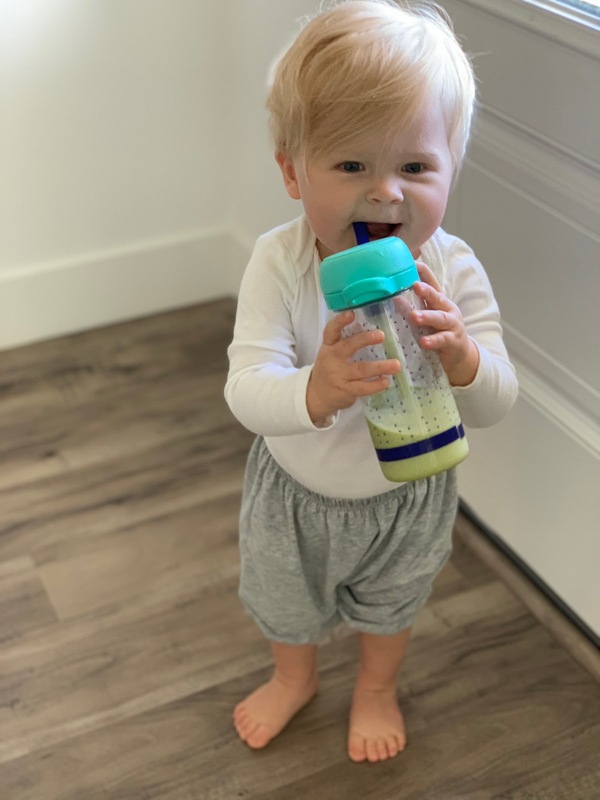 9 // This adorable snack container goes everywhere with us. 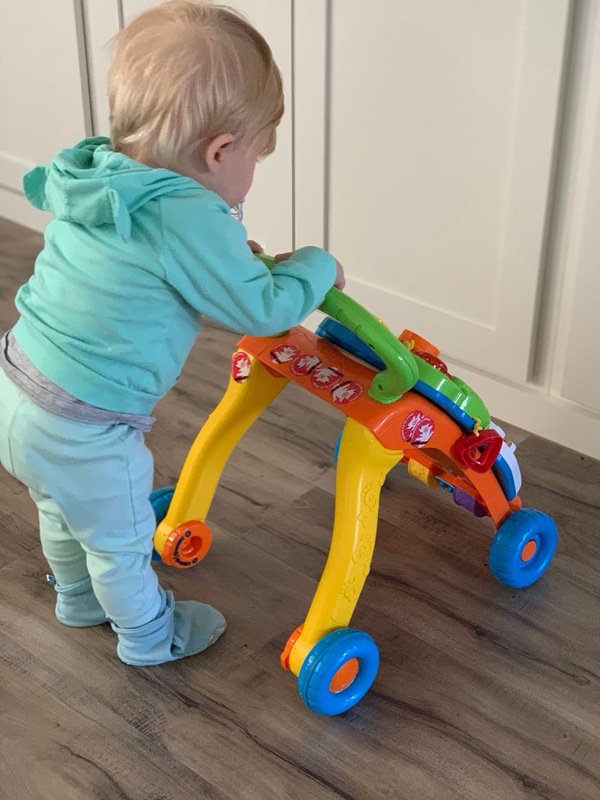 It's super easy to throw in the diaper bag or hook onto the stroller clips when we're out and about. This would be a nice shower or holiday gift paired with the cutlery. 11 // We use this bottom wash everyday. It gets rid of the smell and make cleaning those little bums so much easier. As the diapers get worse, I'm super grateful to have discovered this. I received as a shower gift. Definitely include this in a baby holiday gift back or shower gift. That mama will thank you! 13 // This is THE best transition cup I've found, by far. 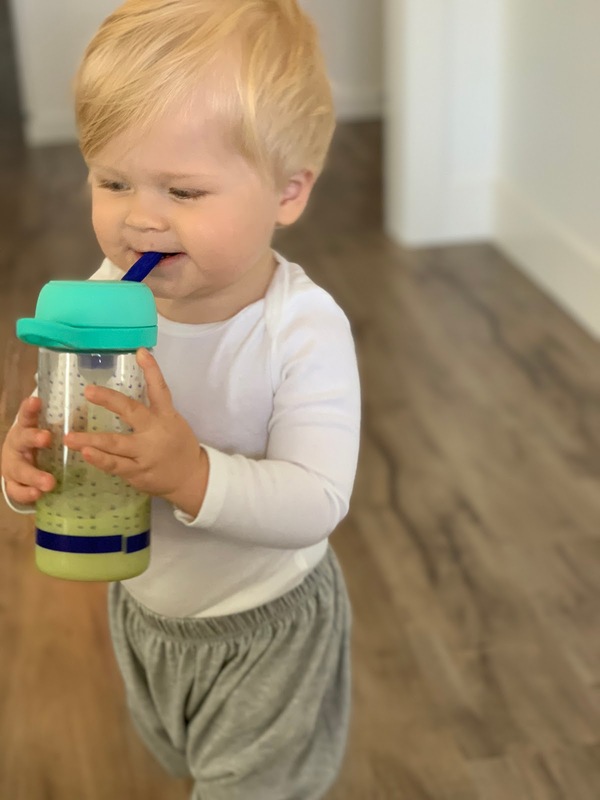 It's spill-free and has a bite-free silicone straw. I bought one to test it out and now we have four in constant rotation. This would be great stocking stuffer. 14 // We still don't have a highchair. We haven't needed it because this Table Chair is so convenient. When Winston was too tiny for restaurant high chairs we brought it with us everywhere. It's easy to attach, doesn't damage the counter and can be used up to 35lbs. Also a great gift idea. I hope my gift guide helps you check off more people on your list and gives you a few ideas for showers and birthdays. Happy Holidays! This is very timely! I just got invited to a baby shower. I think I'm going to buy a DockATot! What a lucky Mama! She will love it. 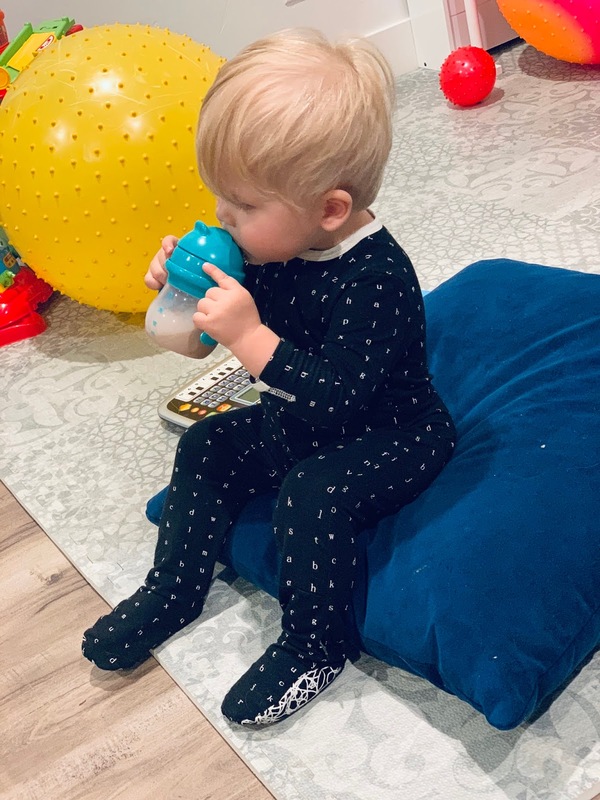 I would love a DockATot for myself as they look so comfy. LOL! 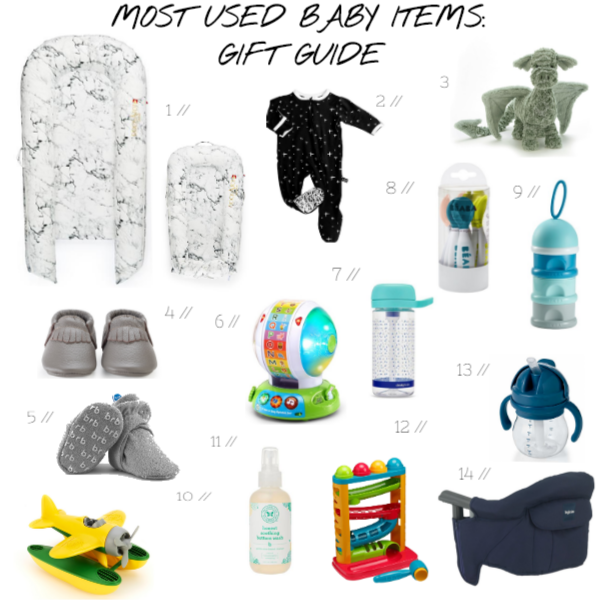 This is a great list as I want to give presents that people actually use. Thanks! Right? I wish they made adult sizes, too. I'm glad I could help. Happy Holidays! Your little one is so beautiful! Just wish I saw this in time for buying for my bestie and her new bub! Thank you so much! I hope you have a Happy New Year!